In this video, Colleen Purcell demonstrates how to implement the sign up/login functionality of an application. 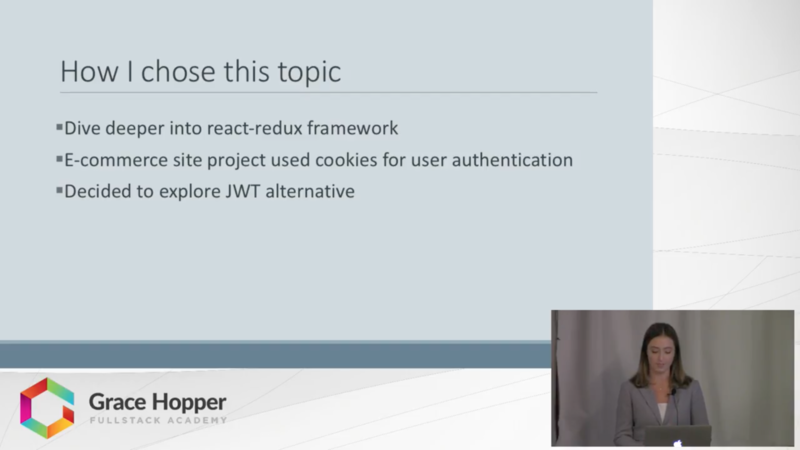 She compares tokens and cookies, shows how to use the bcrypt library to encrypt passwords, discusses how tokens can be used to authenticate user requests, and gives coding examples on implementing passport strategies and passport middleware. At the end of the talk, you'll have a good grasp of the key concepts behind local and token passport strategies for user authentication!